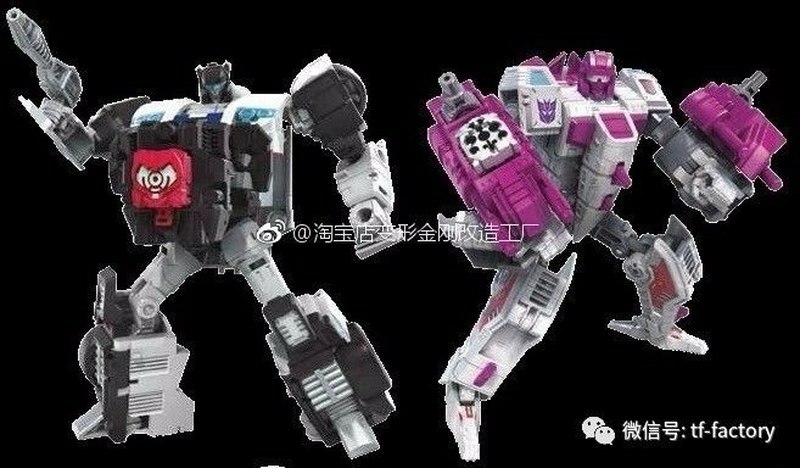 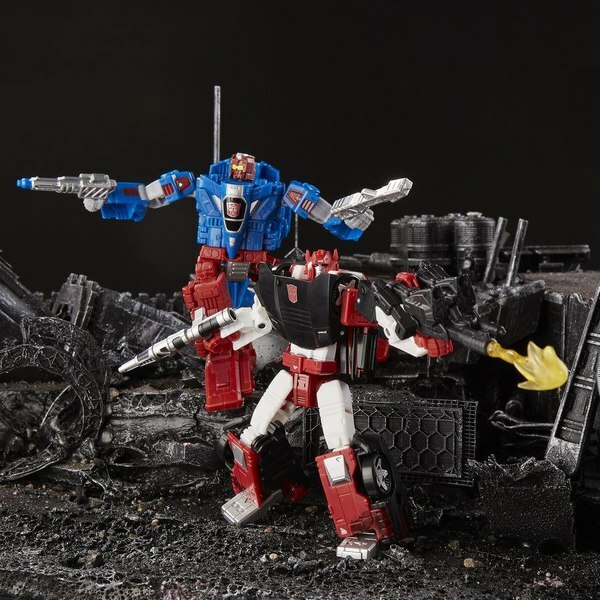 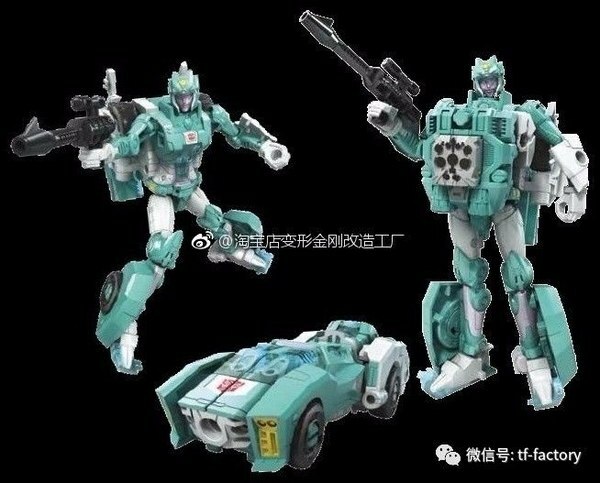 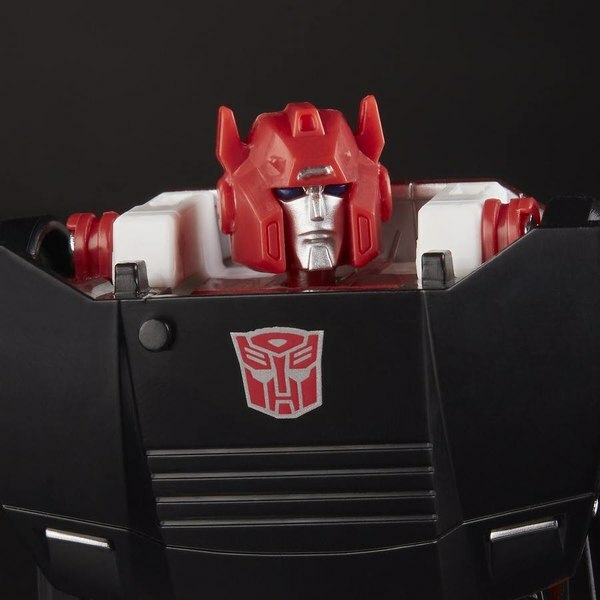 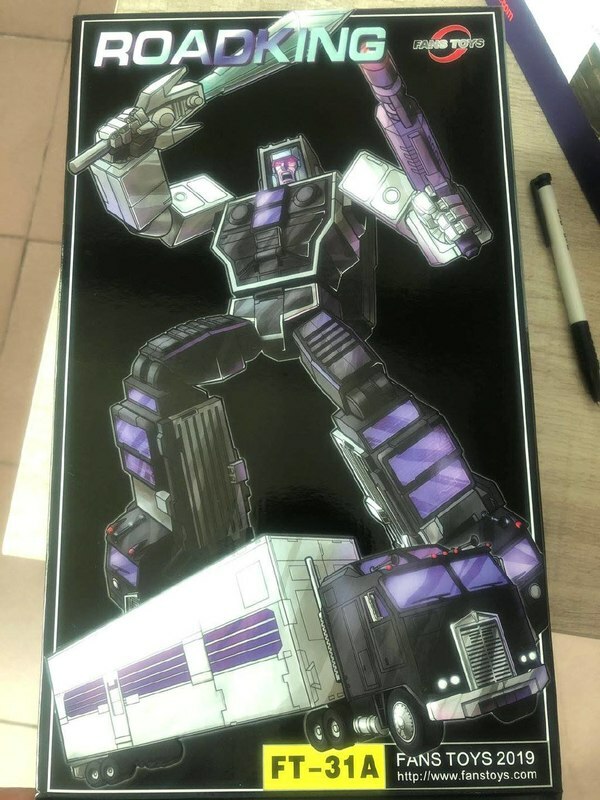 Power Of The Primes Leak - Inferno, Moonracer & Elita-1 Photos, Package Photos, Package-Back Shots, More! 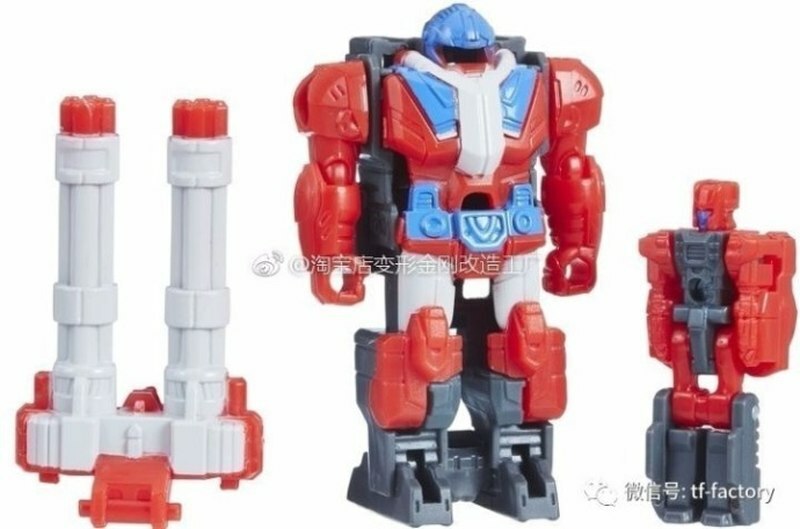 Another leak has come out from the usual Weibo source, and it's a pretty substantial one. 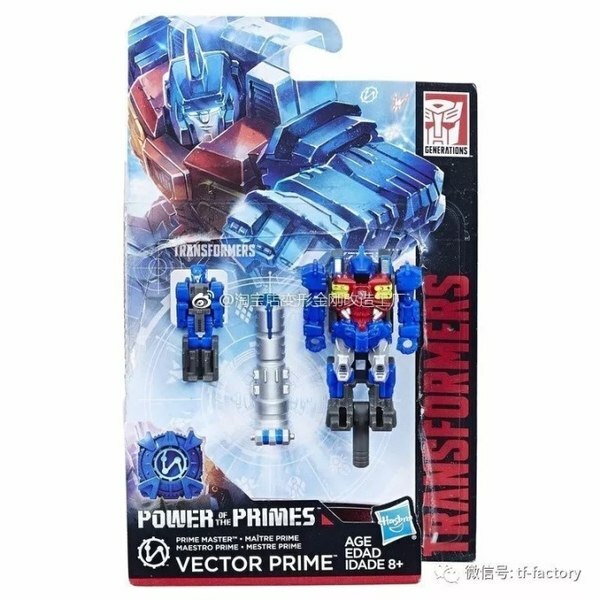 It's primarily made of art assets for Power of the Primes packaging and instructions, so - while small - they represent the best looks we've yet gotten at largely unseen figures such as Voyager Elita-1, Deluxe Moonracer, and more. 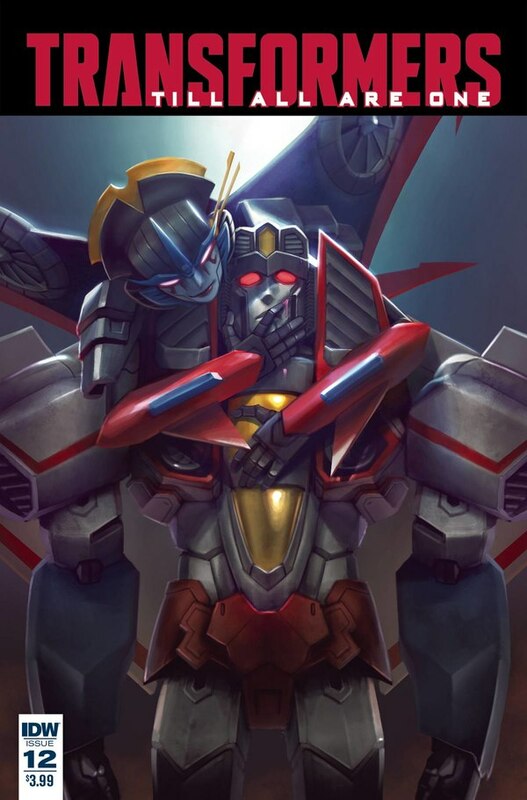 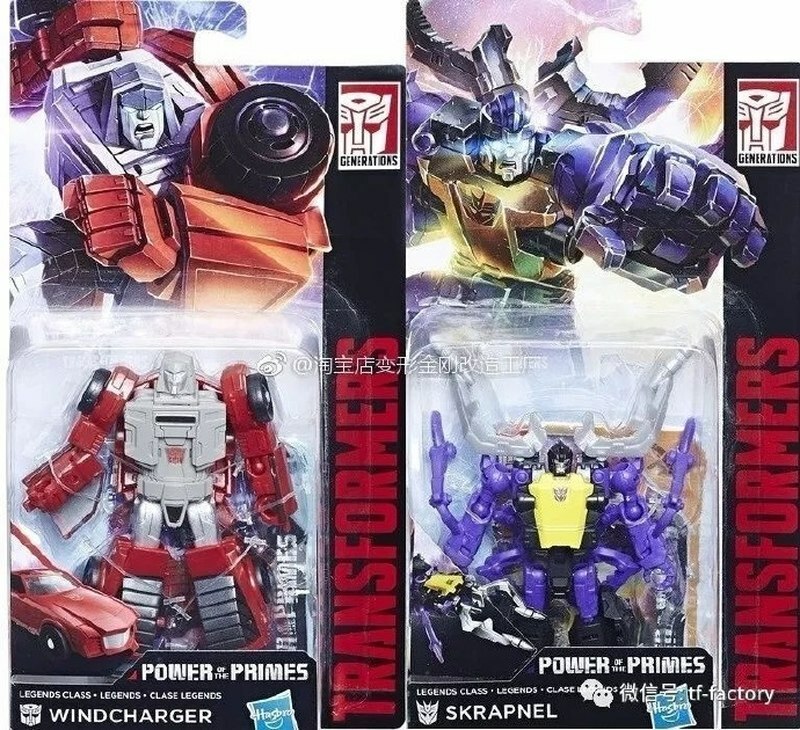 We also get illustrations of Jazz, Moonracer, and Rippersnapper as arms, and some in-package photos to top it all off. 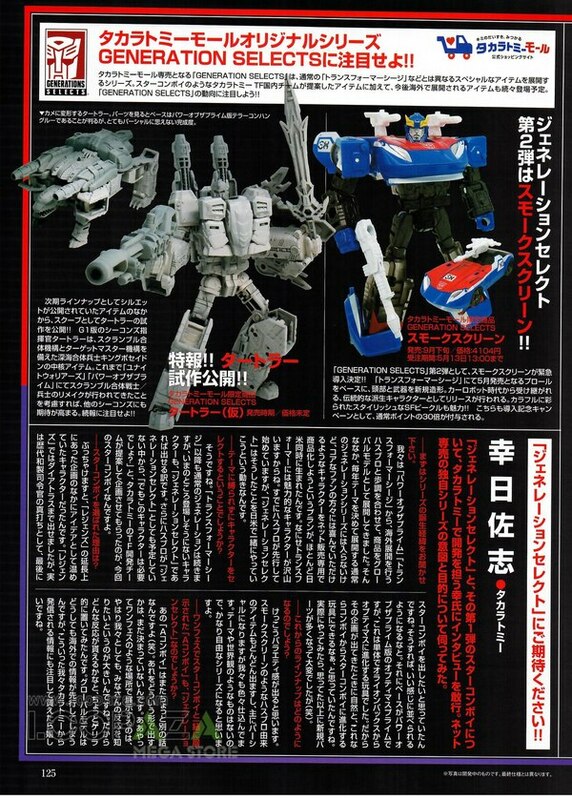 Keep reading for a full catalog of what's here! 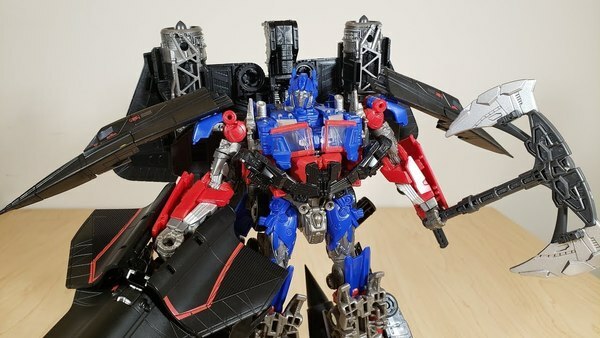 We've got photos of Deluxes Blackwing, Dreadwind, Jazz, and Voyager Hun-Gurr using their Prime Master-mounting accessories. 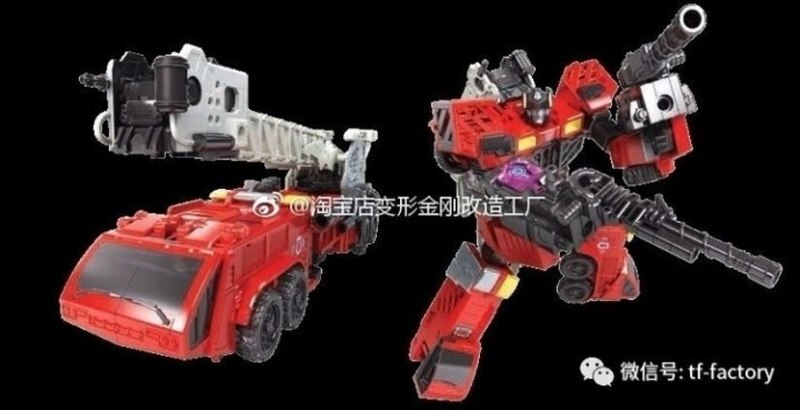 We also have photos of Voyagers Inferno and Elita-1 along with Deluxe Moonracer in both modes plus using their special accessories. Inferno is... a little kludgey, as you might expect from his never having been intended for Prime Master Bucklers. 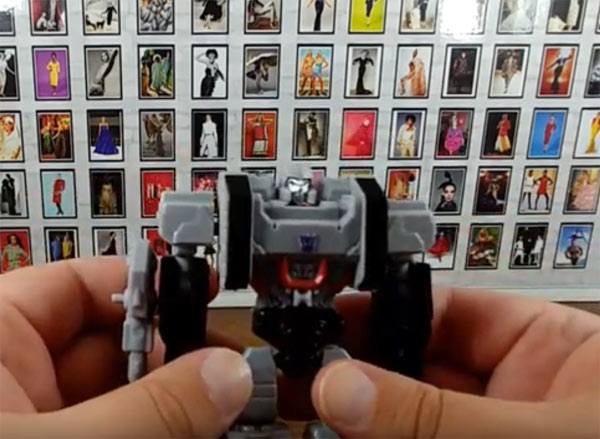 He seems to be holding them in his hands like guns, with the proper guns for the Hot Spot mold family mounted on top. There's also an image that shows a full breakdown of what's included in the Prime Master Micronus Prime with Cloudburst Armor set. 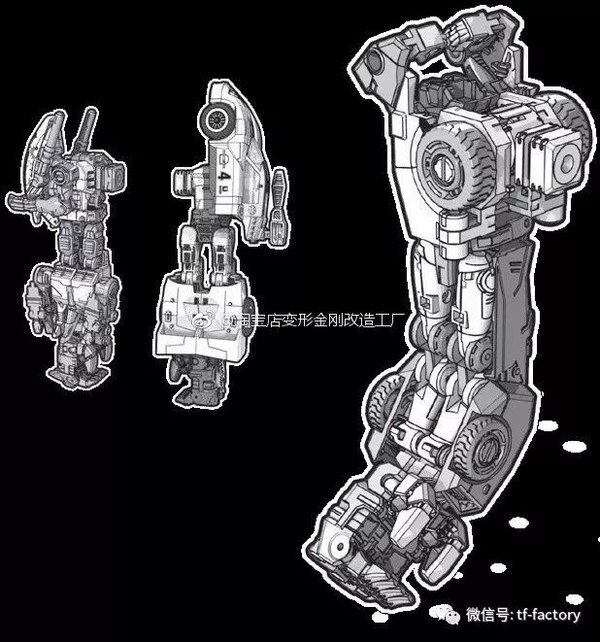 A single image gives us instructions illustrations of Moonracer, Jazz, and Rippersnapper all as arms. 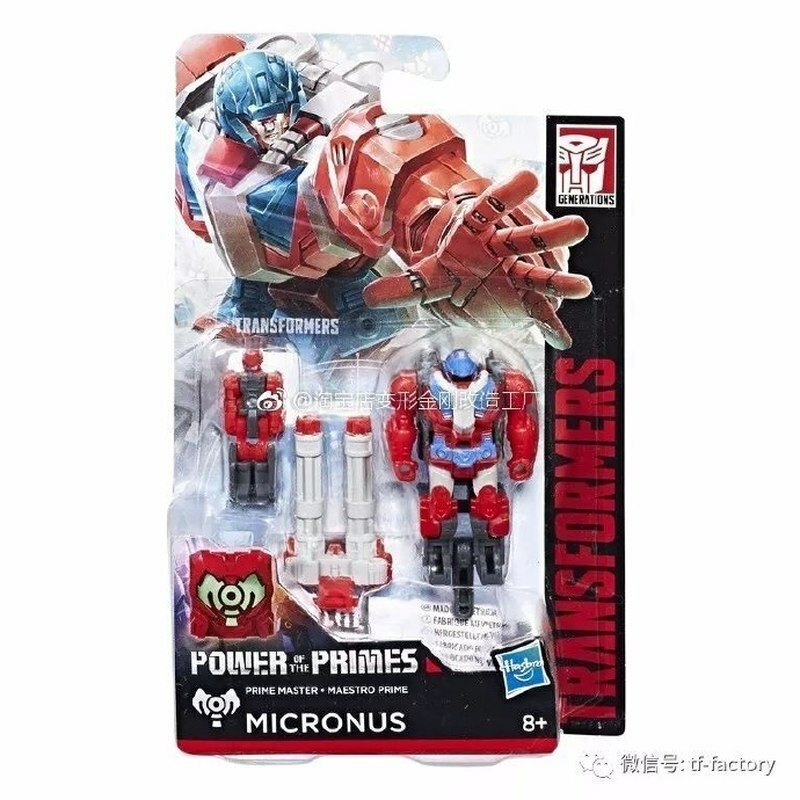 The packaging shows all arms as double-thumbed, but it looks very much like there should be a way to fold the bonus thumb out of the way if that's too weird for you. 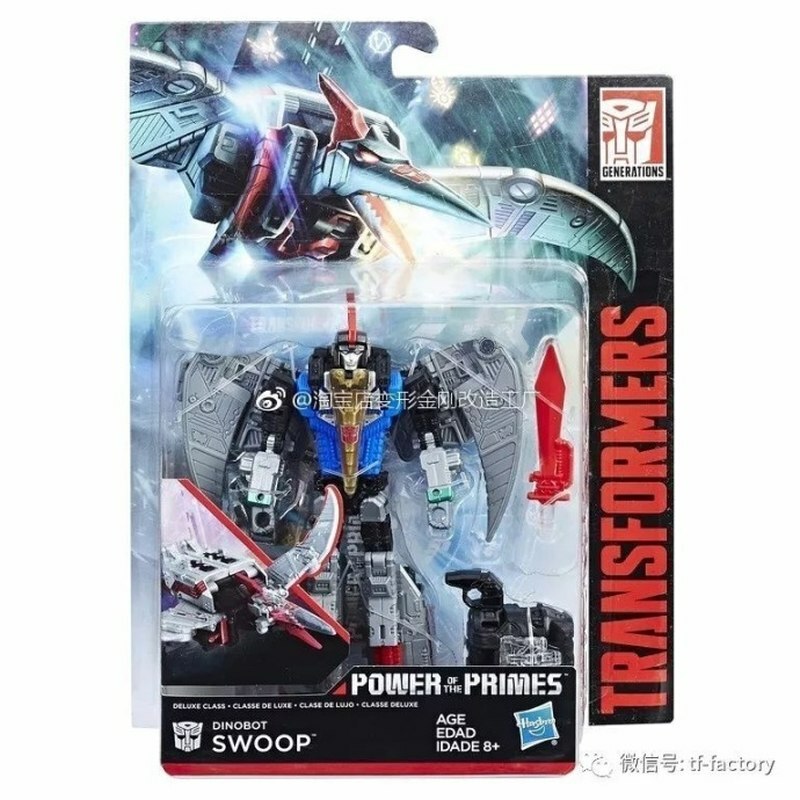 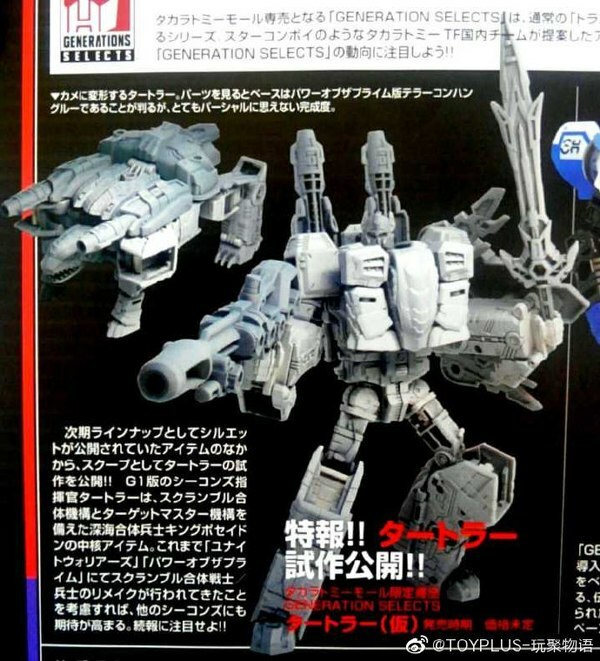 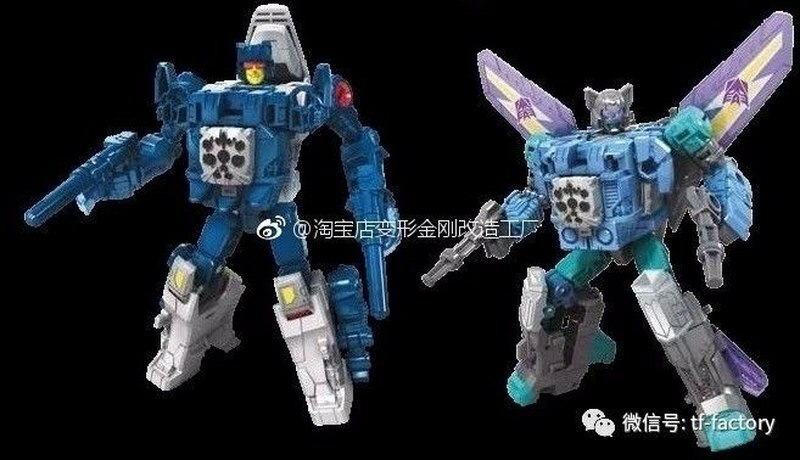 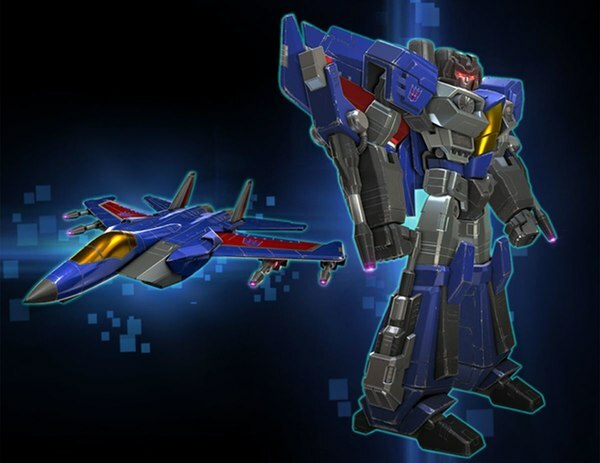 We've got images of Deluxes Slug and Swoop, Legends Windcharger and Skrapnel, and Prime Masters Micronus(Cloudburst) and Vector Prime(Metalhawk). 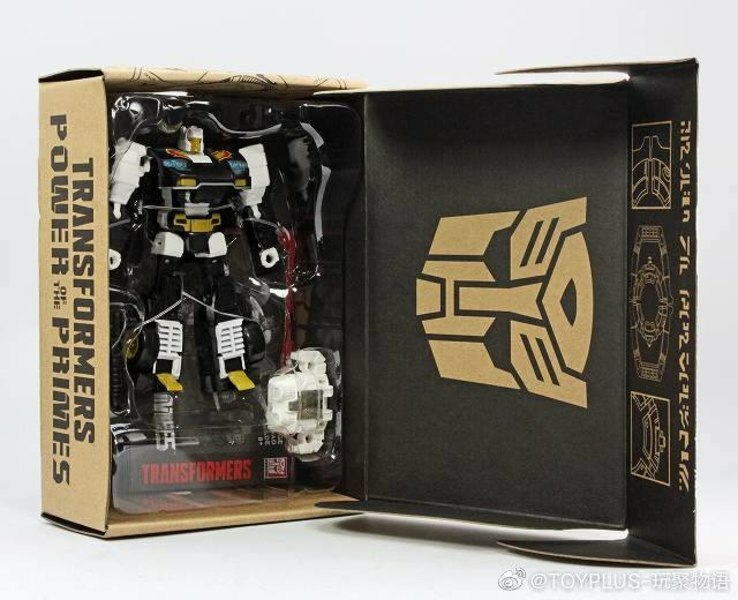 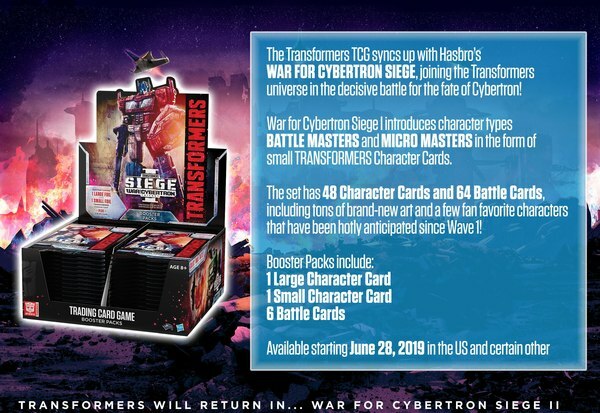 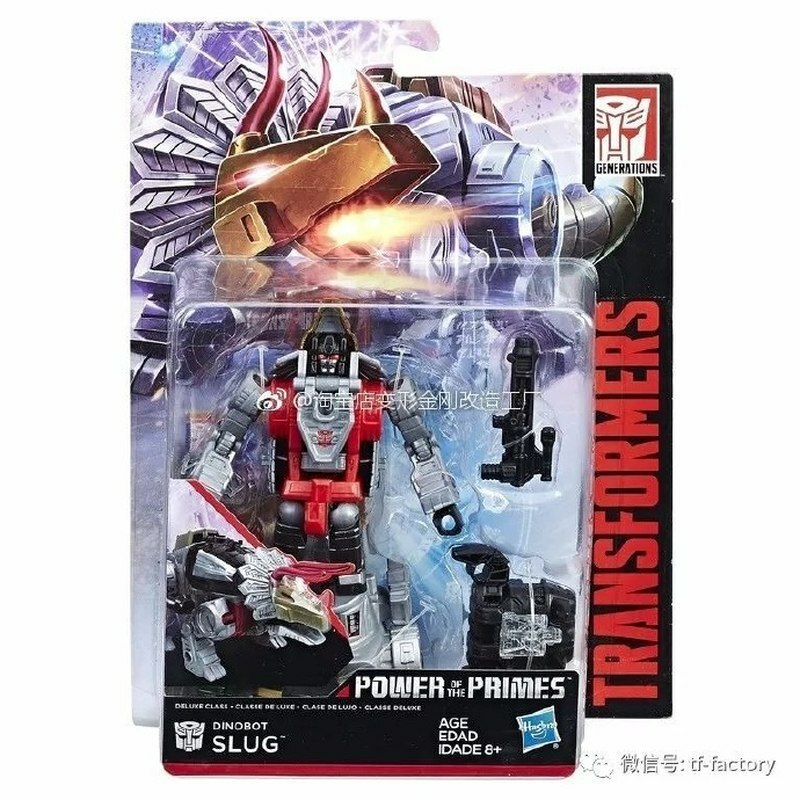 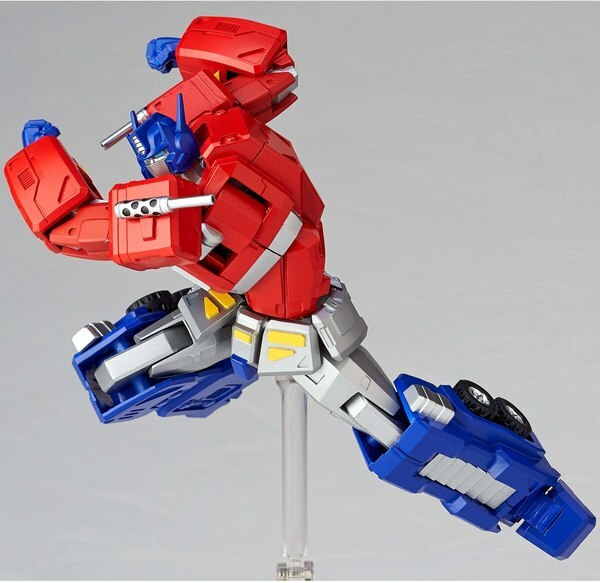 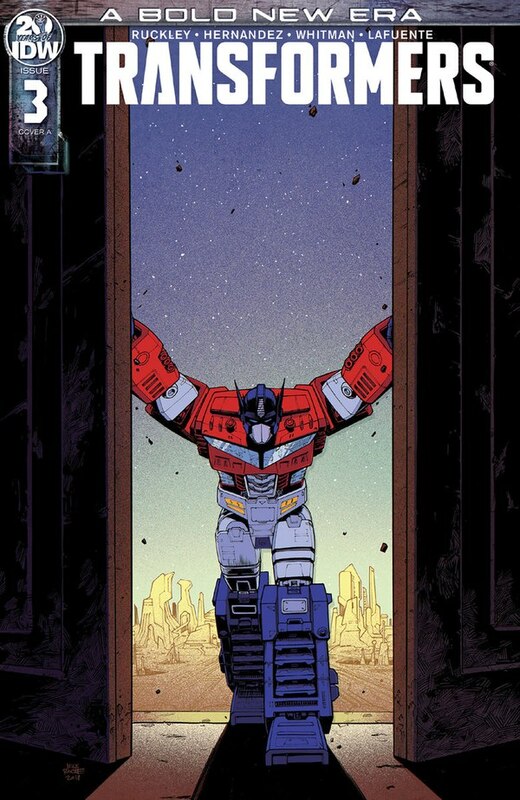 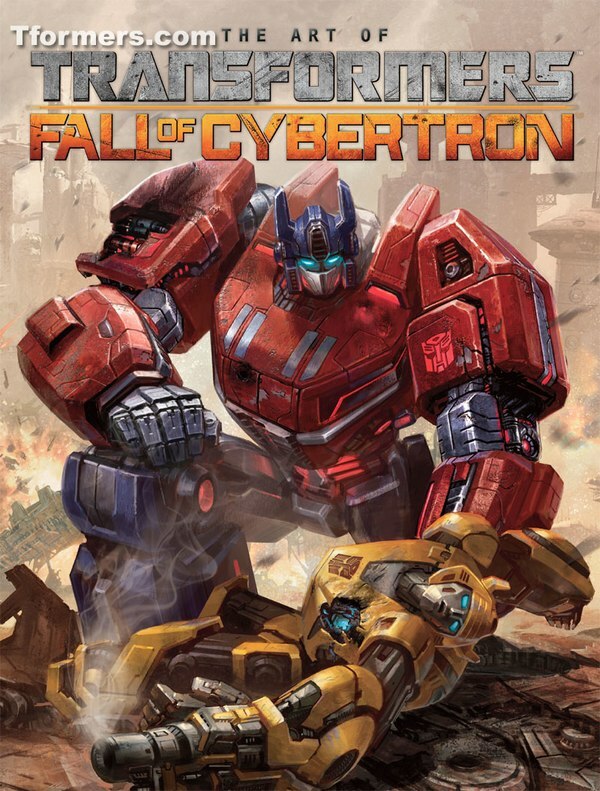 Prepare to be driven crazy, Pretenders fans: it doesn't say the Pretender's name on the package front, so if you're after a specific armor you're going to have to know which Prime Master it belongs to. All in all, a pretty robust set of leaks! 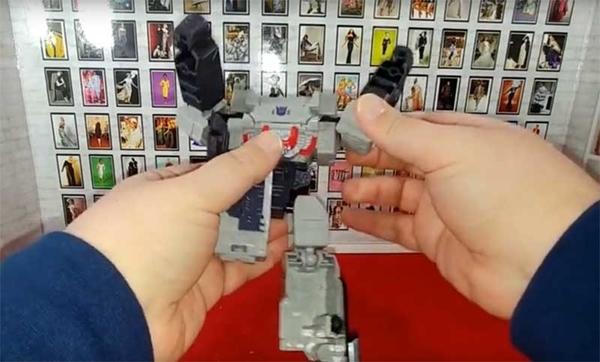 Much new information is here to be had, and some good looks at toys, and functions of toys, we hadn't had a chance to examine closely before.